The state's peak nursing lobby group has called on a Brisbane hospital to improve security after staff reported being exposed to violent patients. One of Queensland's biggest hospitals may soon stop outsourcing security after its "shopping centre-style" guards were accused of being ill-equipped to deal with violent patients. 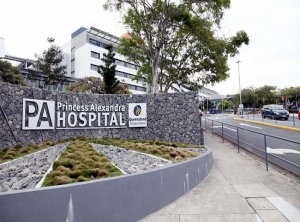 Jack McGuire from the Nurses Professional Association of Queensland said the organisation had asked Brisbane's Princess Alexandra (PA) Hospital to bump up security after staff repeatedly reported being exposed to violence. Nurses are being exposed to violence from out-of-control patients, some of whom are drug-affected and appear to have "almost superhuman strength", he told ABC radio on Wednesday. "The security just aren't up to scratch, unfortunately - they're more the shopping centre-style security that you would see walking around patrolling a food court." Mr McGuire said the hospital was now looking at bringing security back in-house so it could train staff to deal with violent patients. The new security regime is expected to begin in the coming months.